One topic that custom home builders in Victoria BC are being asked about are ways to improve the energy efficiency of their new home. Increasingly clients are seeking clean and green ways that will not only benefit the environment but save them on monthly energy bills. Energy efficient is a broad term so before you meet with your builder let’s clear up any confusion about what the term implies. There are also a few different types of energy efficient homes and having the right information provided in this article will clear up some of the confusion. Energy efficient homes fall into one of the 3 following levels of truly energy efficient homes to be classified that way. When a home is classified as airtight is means there are no draughts to allow air into the home or that let air escape. They are not eligible to be awarded the official stamp of approval, however they are energy efficient and can pass the Energy Star certification. An airtight home is very comfortable year round, being so airtight it is necessary to introduce fresh air to ensure a safe comfortable efficient home. You will realize lower energy bills and heating and cooling units require less maintenance for even more savings. You may have noticed the energy star when purchasing new appliances, the blue star label is backed by the government and shows the appliance is energy efficient. 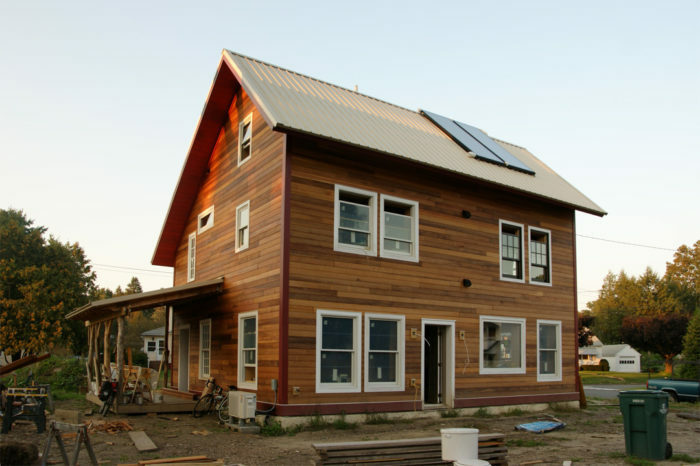 For a home to receive this certification it must be 10% more efficient than one built to code. Also the home has to average a 20% improvement & provide the homeowner with exceptional performance and comfort. Building codes are constantly changing and the energy star standards keep pace with these changes which gives you a home made of superior quality materials and a home that will stand up for years to come. The last classification has no official seal of approval, still it’s considered to be a step above the Energy Star certified home. Net-zero means the building is capable of producing as much energy as it uses each year. It starts with an airtight design after which solar panels are installed on the roof of the home to produce the energy to run the home. Often viewed as superior to an Energy Star certified home because it conserves energy while producing clean solar energy. With a net-zero home energy costs are next to nothing in addition to the environmental benefits from the clean power source. Initially a more expensive option the savings are realized over the long term. So which will you choose as you plan and design your dream home? Contact Hughes Construction for more details.